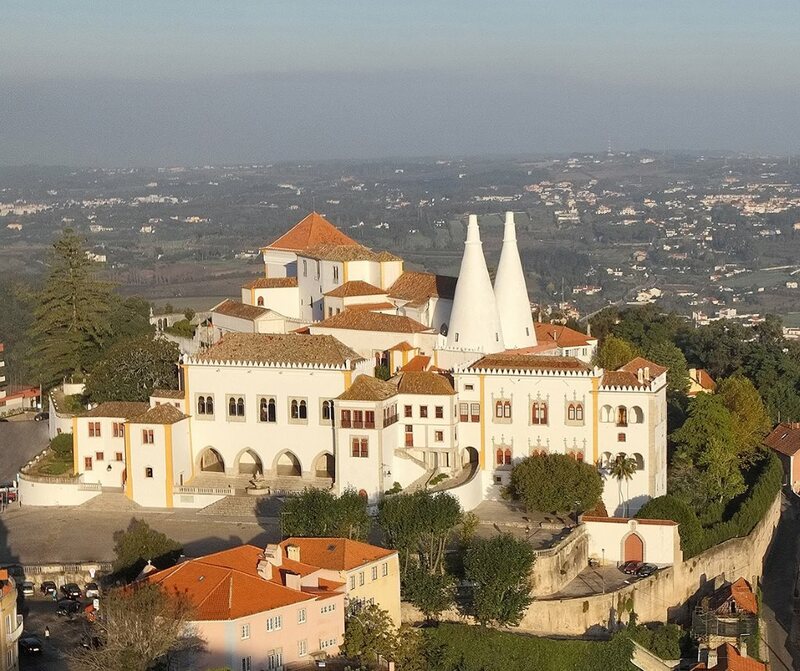 As the sole surviving mediaeval royal palace in Portugal, and the residence of the Portuguese royal family since 1910, the National Palace of Sintra can trace its origin to the beginning of the Muslim period in the Iberian Peninsula. The palace stands as living testimony to some of the most successful moments in Portuguese history when the country opened up to new worlds, and its architecture and heritage became marked by the harmonious combination of Gothic, Moorish and Renaissance elements. 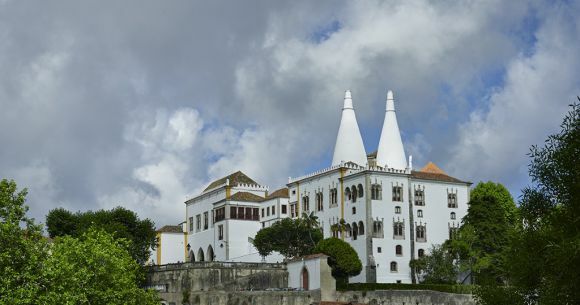 The palace’s outward profile has become famous for its two monumental cone-shaped chimneys, while its interior walls are lined with Portugal’s largest set of Mudéjar tiles still in situ today. It also contains one of the country’s most important heraldic rooms and has some significant collections of decorative arts.